Boeing-737 Max aircraft heading to the Indonesian island of Bangka with 189 people aboard crashed at 6:33 am local time on Monday 13 minutes after departing from Jakarta's airport. The head of Indonesia's National Transportation Safety Committee said to AFP on Thursday that one black box from a crashed Lion Air jet has been found. "We don't know yet whether it's the FDR (flight data recorder) or CVR (cockpit voice recorder)." 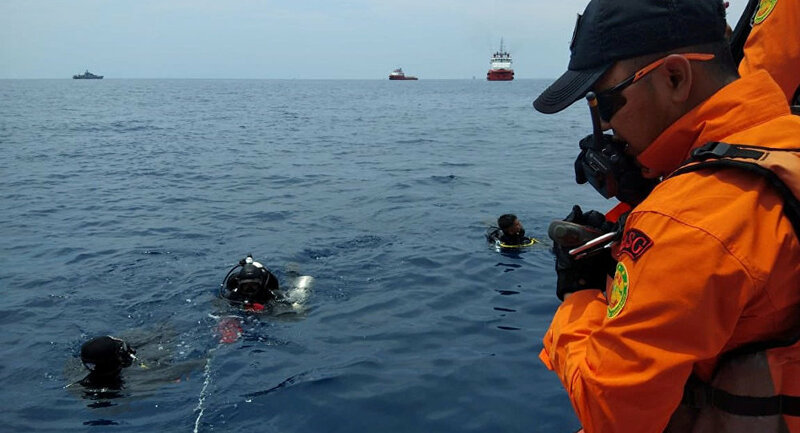 The Detik News website reported that the black box had been found near the aircraft fragments at the depth of 30 meters (98.4 miles) below the surface of the water off the Indonesian north coast, where the plane crashed on Monday. According to Indonesian TV channel Kompas TV, the black box had already been pulled from the water. "We dug and we got the black box," from among debris in the mud on the sea floor, the diver, identified as Hendra, told broadcaster Metro TV on board the Baruna Jaya vessel. The search had been previously hampered by a strong undercurrent. Flight JT610 of a low-cost Lion Air airline, bound for the city of Pangkal Pinang, located on the Indonesian island of Bangka, lost contact with the traffic control at 6:33 a.m. local time on Monday (23:33 GMT on Sunday) shortly after departure from Jakarta's airport. According to media reports, a total of 189 people were on board of the crashed aircraft.